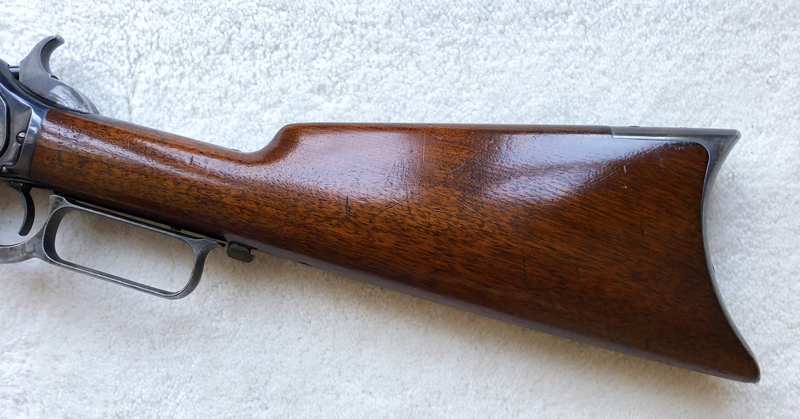 Winchester Model 1876 rifle s/n 25587 manufactured circa 1882 in obsolete 45/75 calibre. 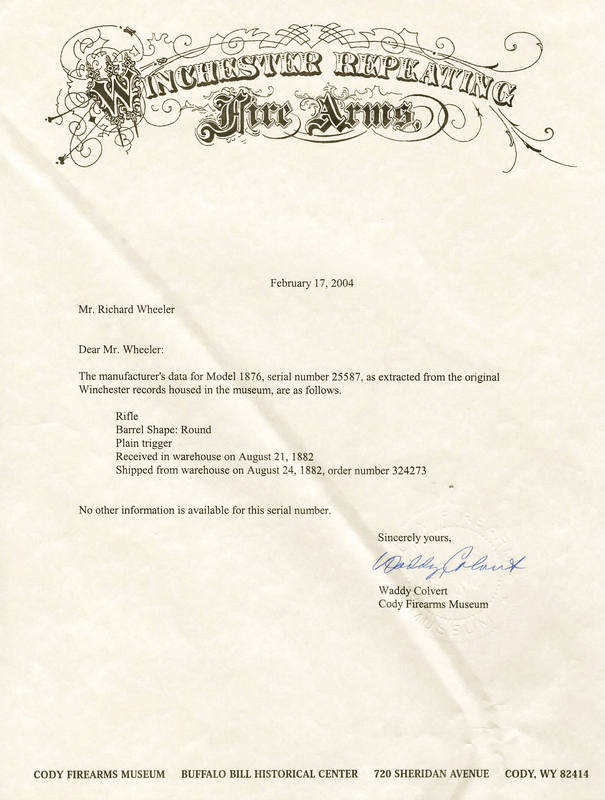 The Winchester Repeating Fire Arms records confirm that serial number 25587 is a rifle with round barrel and plain trigger. It was received in the warehouse on August 21, 1882 and shipped from the warehouse on August 24, 1882, to order number 324273. 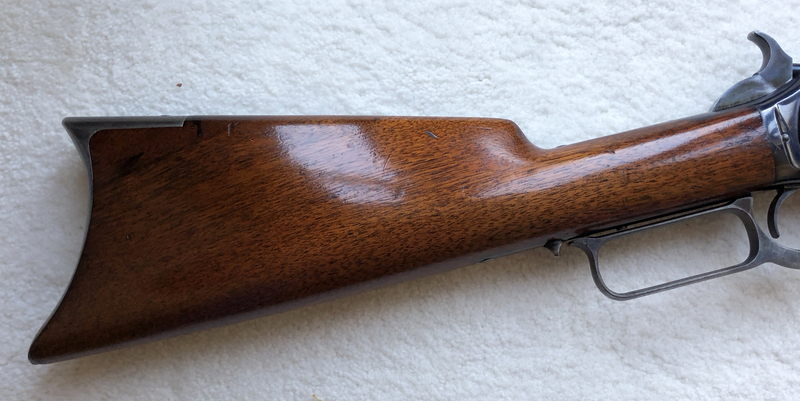 Overall in good working order, bright bore and retaining more than 90% original finish. 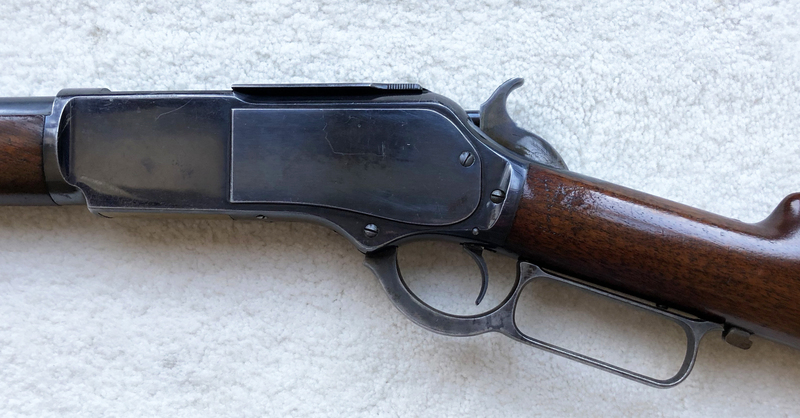 It would be very difficult to improve on this fine 1876 rifle in any respect.